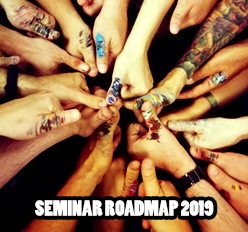 time to speak about something very special for me. Something that developed over a long time and started briefly one year ago. This article will explain this process and is about many decisions. 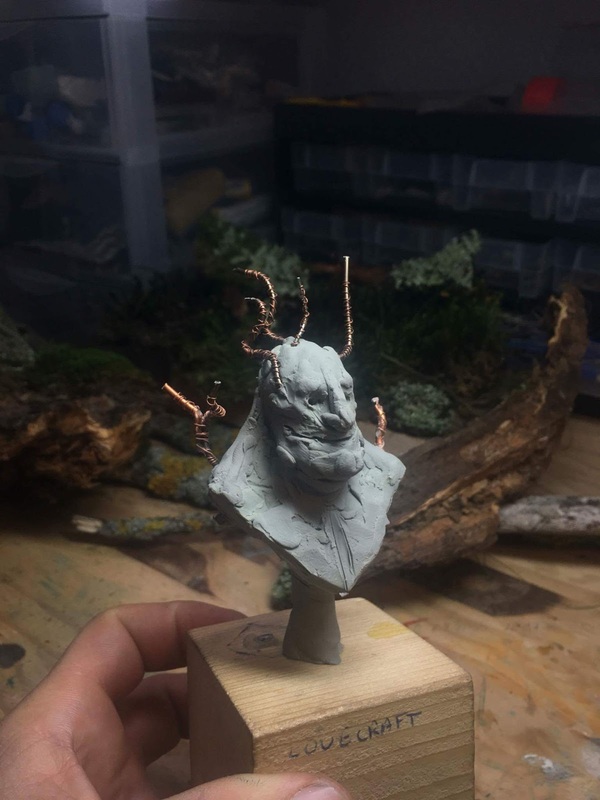 You all know that I sculpt once in a while. 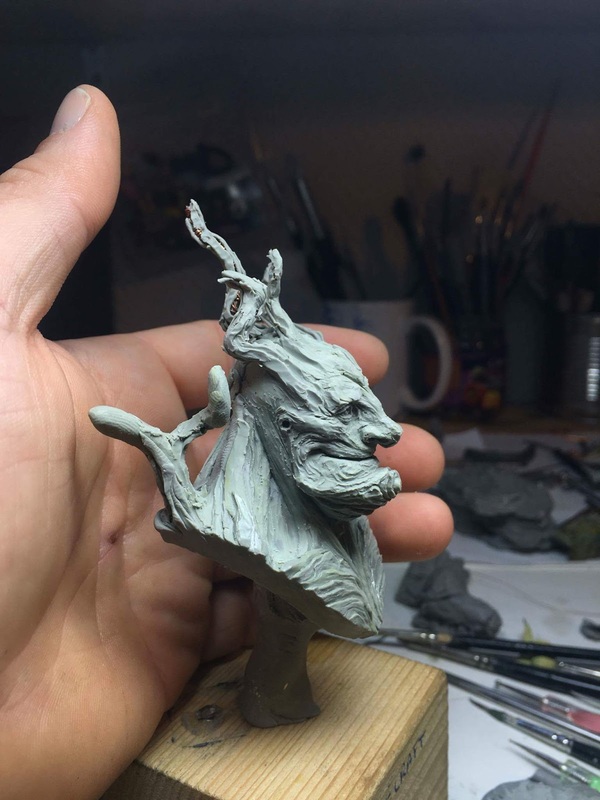 For example I sculpted this ogre. 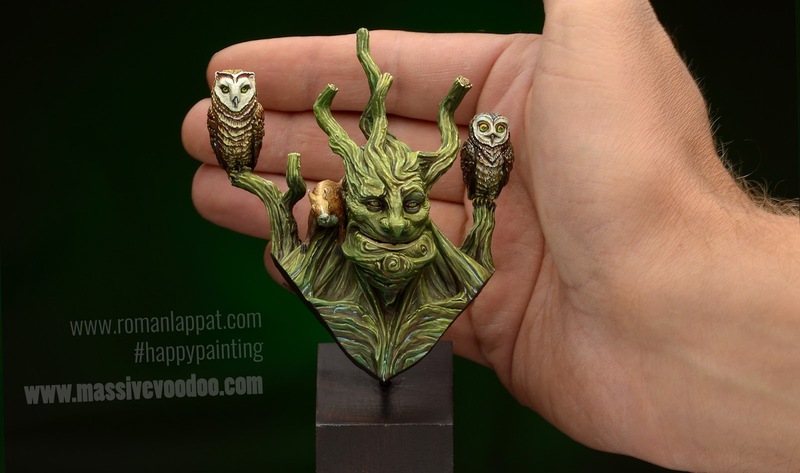 As I found myself having many ideas for miniature concepts I had to take a decision. 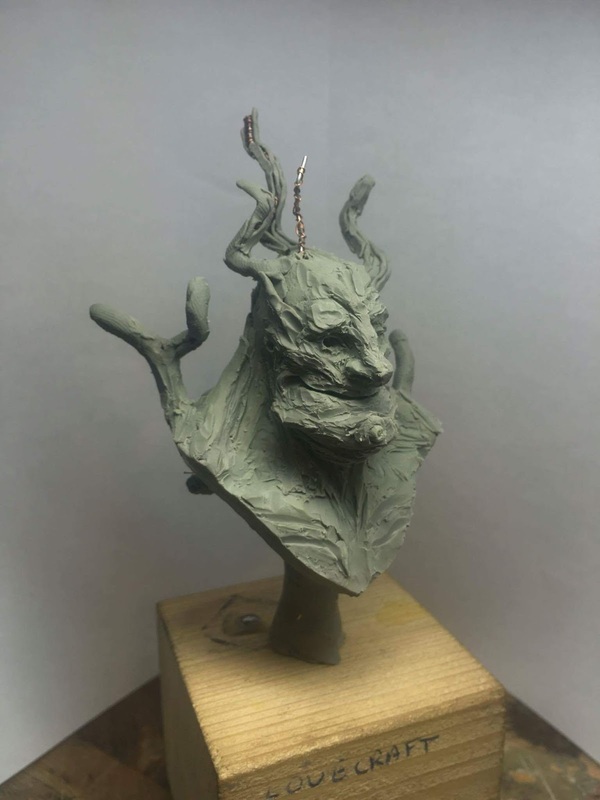 Can I find the time to train my own sculpting skill to be satisfied? 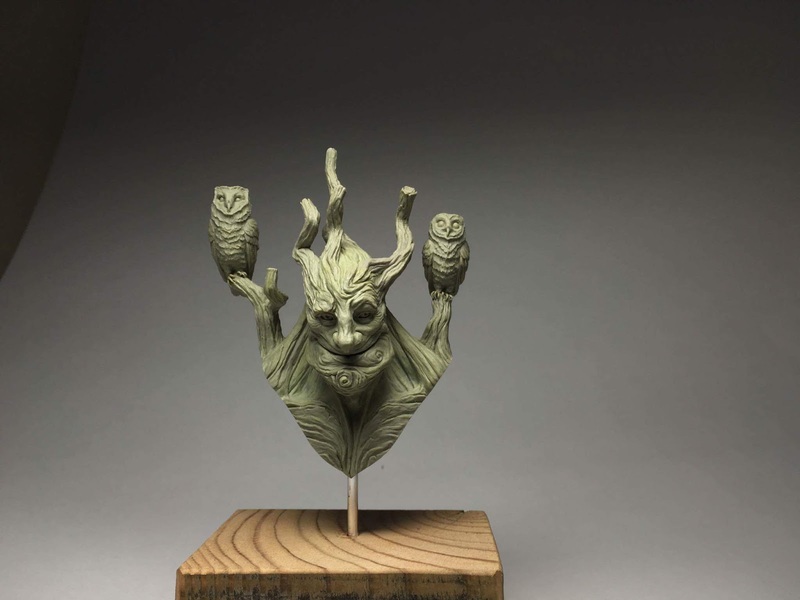 Decide if I want to paint more or sculpt more? I decided to listen to my heart and paint more as I am more a painter than a sculptor. At least this is what my inner voice told me. Nonetheless I have these concepts of figures in my mind that I personally miss in the wide variety of miniatures and figures out there. 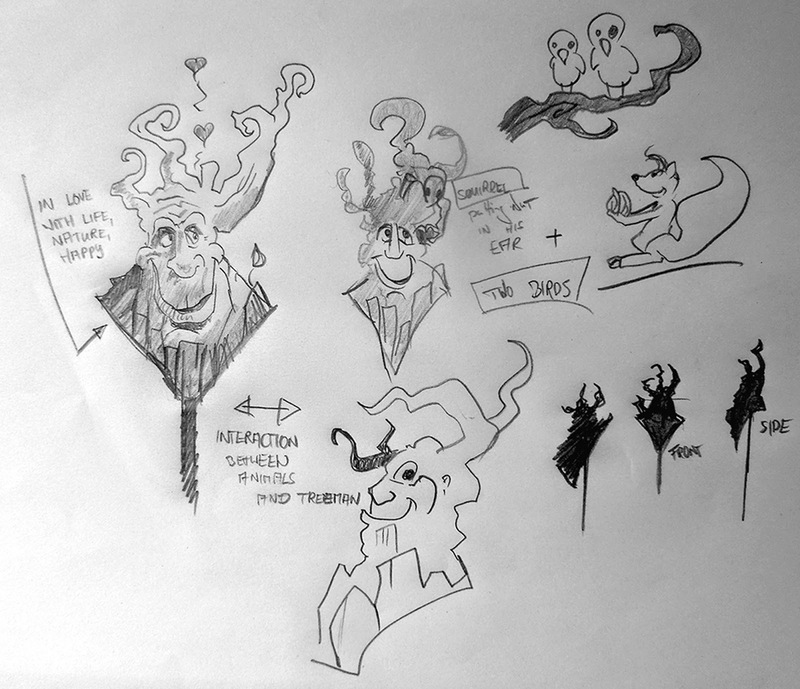 I decided to draw one of these concepts out of my brain. Something different, something nice and beautiful, something peaceful, with no weapons, no wish to kill nor a heroic masculin female with fake breasts. Something that I miss out there. Something that I can show my mum and she understands it on the first glance. Something no one would think it is gruel or agressive or brutal. Something I also learned not so long ago during the chats I had with visitors of my first art exhibition. 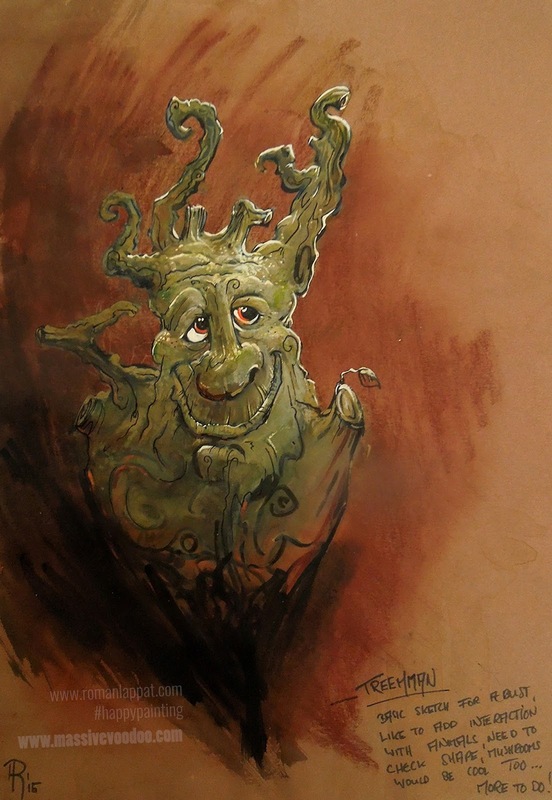 One of my many ideas is a Treeman, a gentle, friendly fella. I made some thoughts on this and did some sketches. I made some additional thoughts via superfast sketching. restrictions is the best way. I was fully convinced already decided to save money to pay Romain what he is worth. These are some of the photos I recieved from Romain during the process. I so much loved that he had real wood lying around for reference of the structure. Man I am a fanboy! You can not learn from nature without references. it was clear that I was happy and looking forward to see more of it come alive. I was already urgently looking forward to paint it. I was thinking about doing this project all for me, so just unique personal project to have, but then decided to find a way to distribute it to make it's beauty available for a wider audience. You. 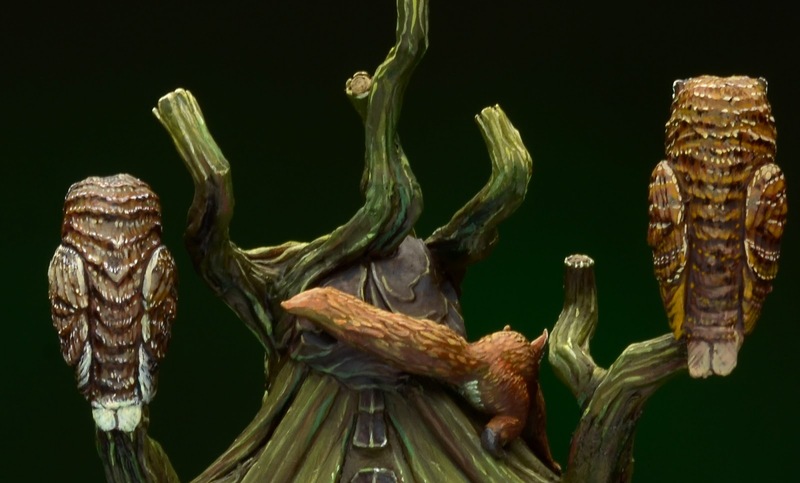 The additional squirrel from my initial concept also had to made it in the sculpt and I was very happy to paint up my version as soon as some mastercasts were in my hands. I can not explain how I much I enjoyed this paintjob. Maybe you see or feel it in the painting. I had a blast and already several new ideas to paint him again. So many possibilities. 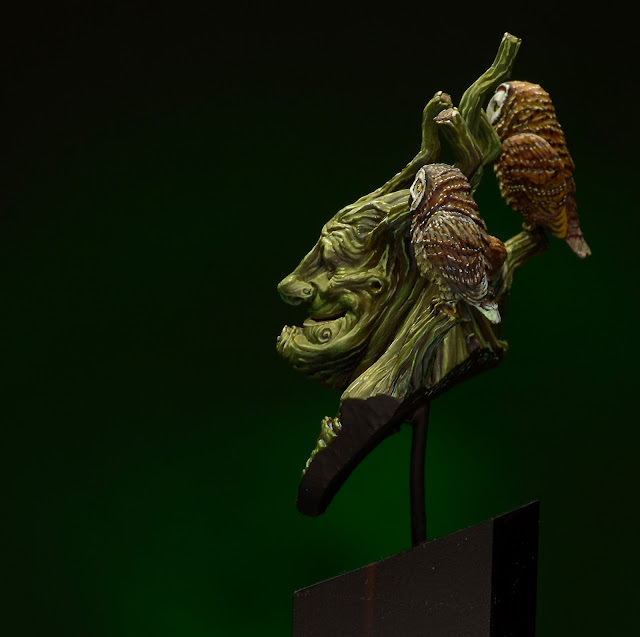 I will also have a full step by step ready on the progress of painting this bust. Did a lot of research and learned that Owls are funny, but also creepy as hell. What predators! Kyle from Mr Lee's Minis if he would be interested in distributing him. Mr Lee's Minis has such a great concept to help figure artists from all over the globe to bring their creations to life. A really fair concept that is based around the artists. It was clear for me that this is my decision and Kyle said yes. I have some more ideas of sculpts that I plan to see realized in the future and so I decided to have a fancy name for my personal ideas and projects "Silverback Miniatures" was born. It is not old yet, but it will grow bigger I am sure. It took quite the while to streamline everything and I learned to release a figure it is not just having a sculpt. It is hard work from every end. I want to thank Romain and Kyle again for the great collaberation and the trust. 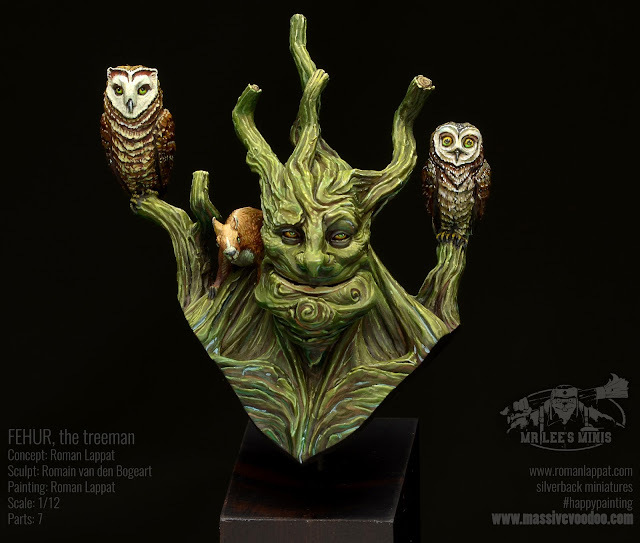 the Treeman via Mr Lee's Minis from September 2nd on. More information, a step by step and much more things I learned during its creation - from idea over a sculpting comission to my painted version - will follow in the future. 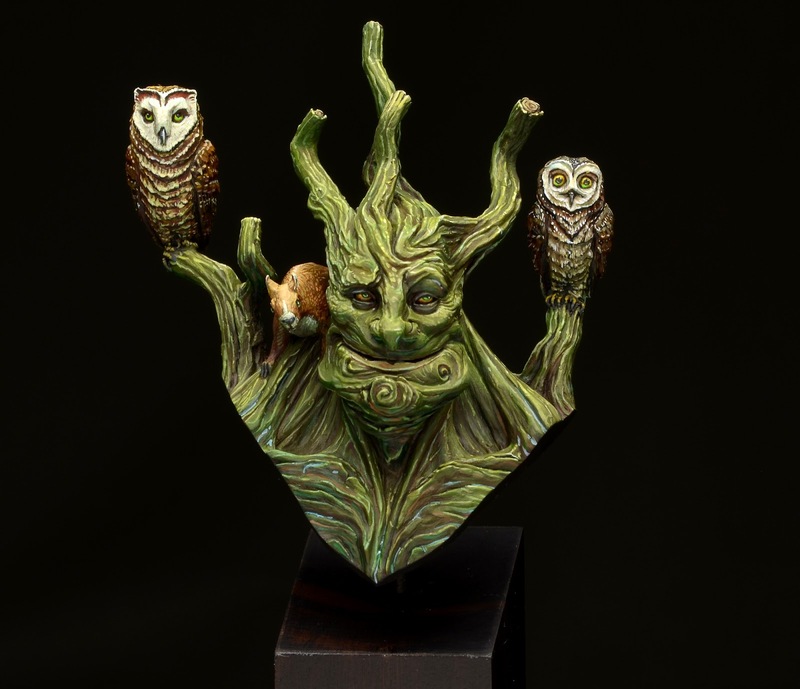 Fehur, the Treeman is also on Putty&Paint with even more photos. 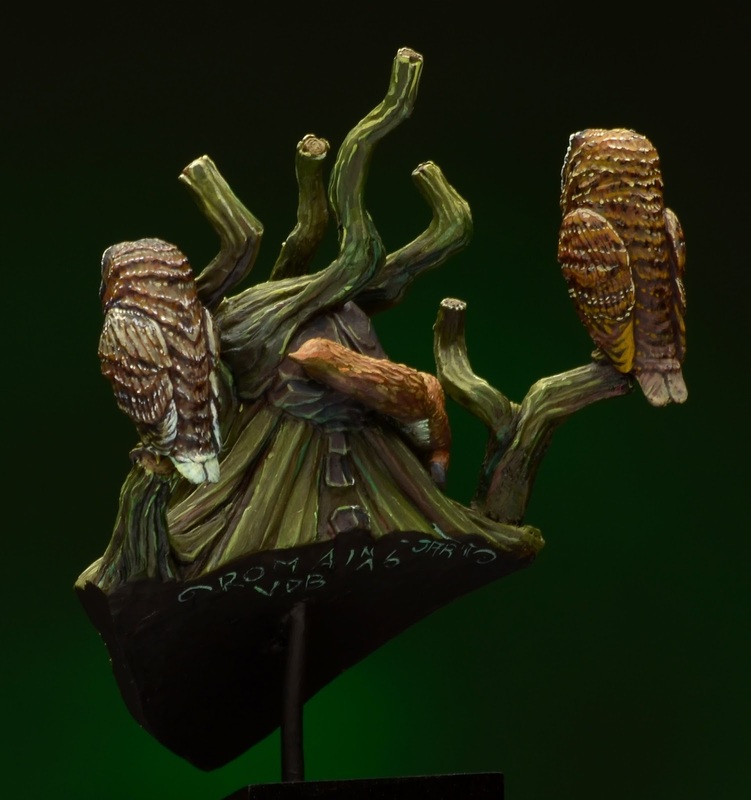 Price: 35,00 GBP + shipping, for pre-order via Mr Lee's Minis. Deep in ancient forests nature spirits hide away from the changes on planet earth. They have been told dead since a long time, but they are not. They strive through the depths of the old and wide forests to protect the beating heart of mother nature. Fehur is one of them. 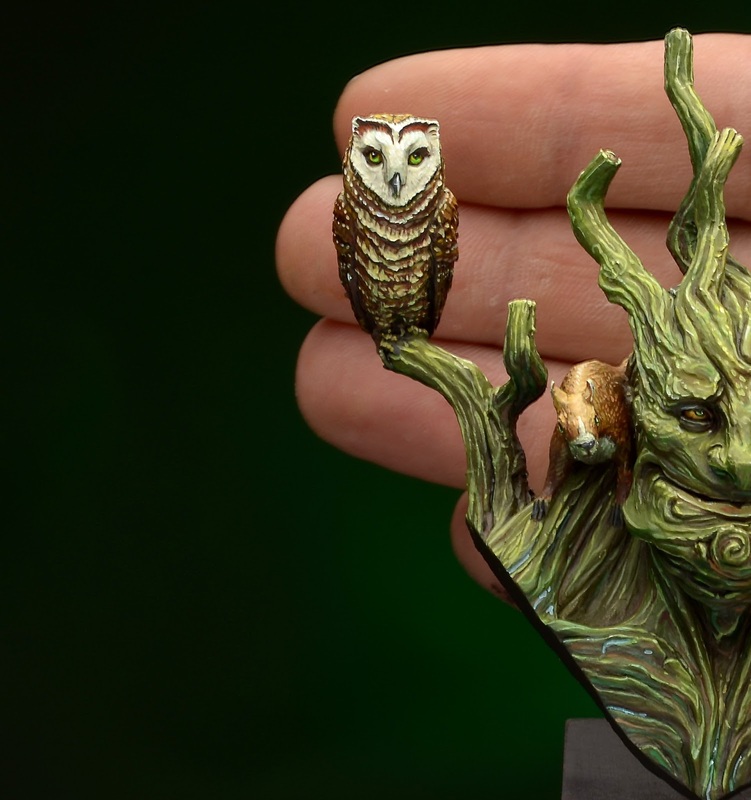 The elder ones always call him a “Treeman Joke” as he is not fierce and angry enough in his job. He is not rough when it comes to forest intruders. Fehur on the other hand rather is friend with everyone. I am at the NOVA Open 2017 right now and have the first six casts of this bust with me. If you are interested and attending the NOVA too, hit me up. And do not forget to visit Mr Lee's if you want to preorder yours! I hope you enjoyed the insight into my mind why this idea was born and I also hope that you enjoy the result of this collaberation. What would be your idea for Fehur? If you want to know how the paintjob was done stay tuned for the step by step in the future of Massive Voodoo. 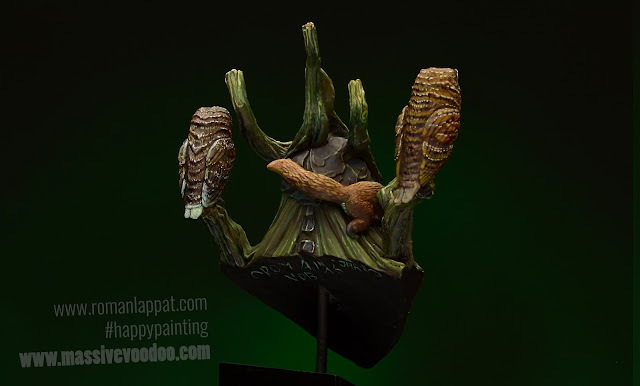 Having seen this figure at NOVA Open right now I am excited it will be a release. And with the fresh new eyes you've given me with your colour theory class, I am full of ideas not just for him but so many miniatures!